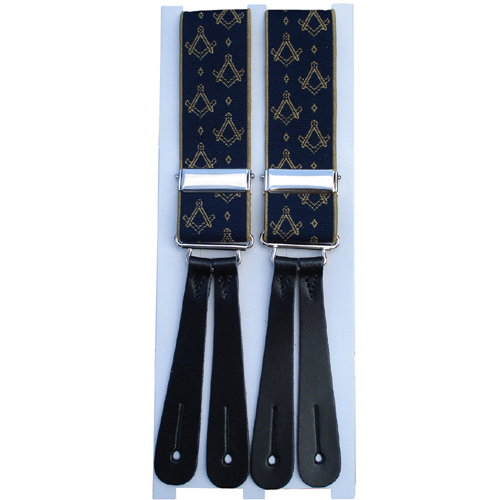 These very good quality leather end braces are navy blue coloured with the square and compass design tastefully woven in gold. They have four leather straps at the front for attaching to the four inner trouser buttons. The two straps at the front are connected to a single strap at the back which in turn has two leather straps to attach to the two rear inner trouser buttons. They are 1.5" in width, are fully adjustable and come in a presentation box.